The final step in Online Marketing success! Google Analytics (www.google.com/analytics) is an amazing, free tool that all website owners and anyone with online presence should take advantage of – it is a great opportunity. It tells you all the key information you’ll need: How active is your website? Where is the traffic from your website coming from? Are your Facebook page and LinkIn page notifications working to create interest in your products? Do you need to change the topics for your blog? What are your most popular web pages? And, finally, is your website getting referrals from other sites? There are many different metrics that you can measure within Google Analytics, but the main objective is to break it down into the core analytics that all business owners need to know. Once you have created your Google account, speak to your web designer who will add the tracking code (script) to the relevant areas of your website, and set you up with an account and analytics reports. Figuring out how your website is being used, and using information to enhance your site ultimately starts with the visitor. Knowing who is coming to visit your site, how long they then spend on the site, and what pages they are looking at before leaving, can give you valuable insight into improving the functionality of your site. This signifies the visitors that have spent any time on your website. The reason you should pay more attention to this statistic, rather than page views, is because you want to know that people are exploring your site, and that they are not “bots” or spam accounts. You need to know that people are exploring your site and spending some quality time reading content. If your average session is under 30 seconds, then you know you need to add more relevant and engaging content to your site. less and then navigated to another website. then your bounce rate will be high, but you have converted a number of visitors. It is important to ensure that your audience is growing consistently and that new people are visiting your website. Having a fine balance between returning visitors and brand new visitors is important. Ultimately, you should watch your visitor metrics for major dips and peaks. This is Google’s language for “traffic sources”. It is important to know where your traffic is coming from. Click Acquisition on the left hand column on Google Analytics’ Overview page. Or to be more specific, landing pages. Watching user metrics on your landing pages is key to understanding whether the information you’re delivering matches the needs of the traffic you’re receiving. To find out what your most popular landing page is, simply click Behavior, then Site Content and then view your landing pages. 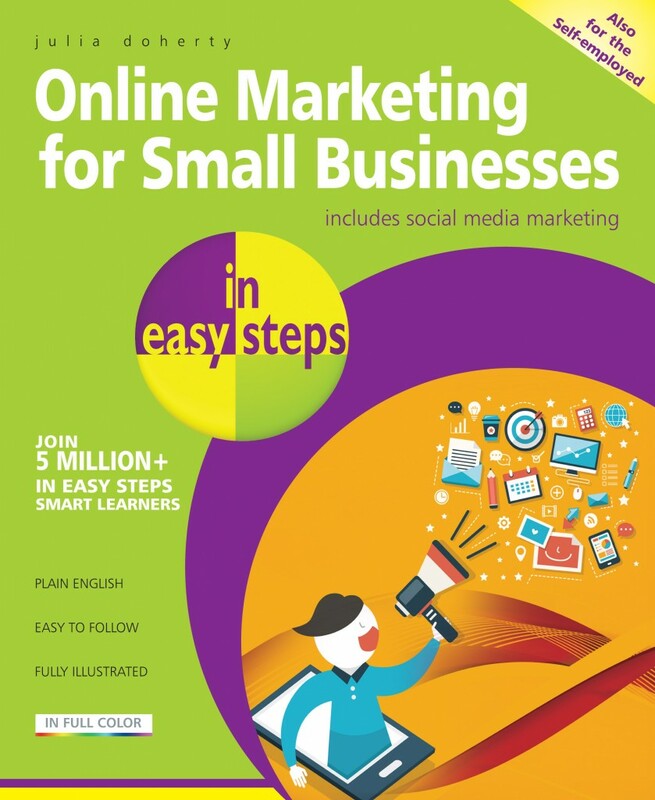 For the essential guide to Online Marketing for Small Businesses, click here. Online Marketing for Small Businesses in easy steps expertly walks through the steps you need to take to set your online strategy, make your website work for you, and then covers the key social networking sites to generate a stronger and more loyal customer base. It concentrates on activities that are essential and free, and steers clear of costly forms of online marketing, helping you to become a pro in no time!